Natasha did a great job today on my thick and unruly hair. The cut was really first class and the colour was, as usual, everything you would want. I have been going to Browns at Olney for nearly 9 years and have always had great results. My current stylist is May. She is always willing to listen to me and helps me with my problem hair and scalp. My previous stylist was Ashleigh, who now trains young people. 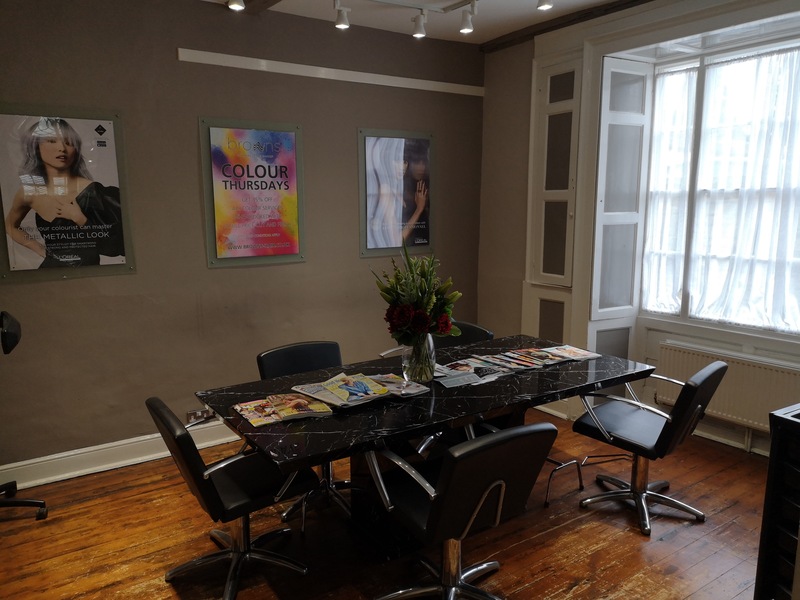 The whole atmosphere of the salon is welcoming and everyone is very friendly. I’ve been coming to the salon for over two years. Natasha has been cutting and colouring my hair and always listens and does an amazing job. Thank you. I absolutely love my new caramel balayage, thanks to Andy and his team. A fantastic service from start to finish. I would highly recommend this salon to anyone.